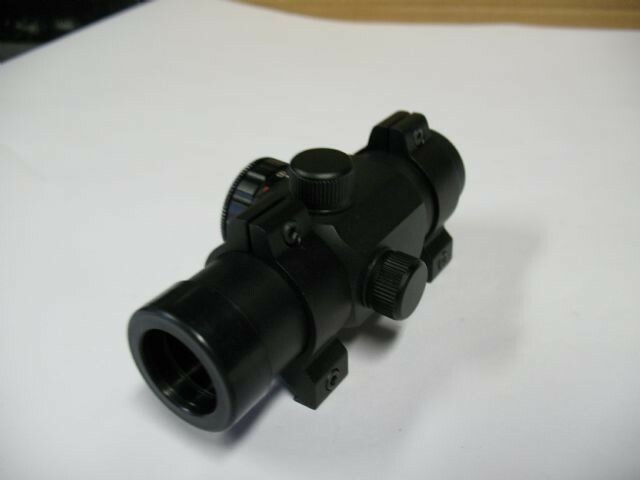 Whilst high magnification variable scopes are all the rage for your tactical rifle (whatever that is! ), their use is somewhat limited by their specific characteristics. The good old optical triangle comes into play. The optical triangle refers to the relationship between magnification, field of view, and eye relief. This triangle is a very rubbery thing, infinitely variable, but subject to the limitation that, if you change one aspect of the triangle, then the other two are likewise affected. As an example, all things being equal, a 6x magnification scope will have a greater field of view than a 12x magnification scope. Whilst having a wider field of view, it will also be less critical in eye relief, all else being equal. In other words, if you want the extreme in one value, you lose out in the other two attributes. A varmint hunter does not mind the fact that his eye relief becomes somewhat critical and that he, or she, does not have a large field of view because, generally, the extra time taken to find the hapless rabbit in the field of view is not as critical, as say, getting a sight picture on an angry boar which is rushing at you and intending you great harm from 15 metres. This quite transforms the scenario to where you must “rubberise” your optical triangle to cope with the current situation. In this situation, the last thing you need is excess magnification! You need the speed that comes with non-critical eye relief, as wide a field of view as you can get, and no magnification. Another critical factor, that is not part of the optical triangle, but nevertheless important, is the reticle. While shooting very small targets a long way away requires a fine reticle so that the target is not obscured, at close range you need a simple, distinct aiming point, which is readily placed on the critical spot to bring down the chunk of angry meat coming at you. Enter the red dot scope. These come in a variety of configurations. Our NDN06-121 Mini Sight is an extremely compact sighting system which can be used for just the scenario described above. It has a 4moa dot for quick acquisition of fast moving targets and requires you to shoot with both eyes open which gives you an unlimited field of view with non-critical eye relief. Ideal for the situation. But, by the same token, if you want to snipe rabbits at 200 metres, then forget it. The features that allow the fast targeting of large, swiftly moving animals, come up short at longer ranges and smaller targets. It comes with an integral Weaver mount, so mounting options are not a problem. Our RD 003 riflescope is about as small a scope as it is possible to get. 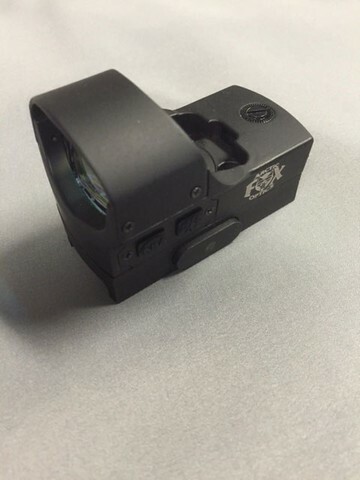 Extremely compact, while not being as fast to use as the reflex style red dot, it is extremely useful. Used with both eyes open, as are all of these types of sights to give you true binocular vision, they are nevertheless fast to use, especially as you gain familiarity with this type of sight. Basically, you look with both eyes at what you wish to shoot, superimpose the dot on the target and shoot. Our NDW11-25 has the option of either a red or a green dot for whatever situation you find yourself in. As with our RD 003, the intensity of the dot can be changed with a side mounted dial, so that the dot can be seen in bright daylight, but not blinding in low light conditions. 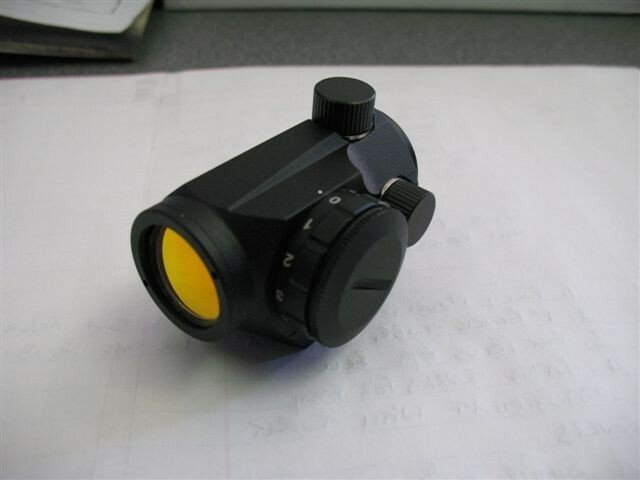 All the above optical sights come with integral Weaver mounts, so the mounting options are broad. Check them out in our products section and ask to have a look at our product range at your local gun store.